Evidence Champions are organisations that have signed an agreement to use Conservation Evidence in their project planning, to ask grantees that they fund to use Conservation Evidence in their grant proposals, and/or to test a certain number of interventions per year and publish the results.They may also be directing readers of their webpages directly to Conservation Evidence, or scientific journals can encourage authors to use our database when submitting articles. This demonstrates that they are committed to evidence-based conservation. Watch a short video about our Evidence Champions here. Register your interest for becoming an Evidence Champion here. Who are the Evidence Champions? SAVE THE FROGS! Ghana uses Conservation Evidence when planning new projects, and will test some of its conservation interventions and publish the results. scale, and local community involvement. Through its conference programme, the Foundation encourages the sharing of knowledge and best practice throughout the conservation world. The Rufford Foundation asks grantees to check Conservation Evidence, to assess the likelihood of success of different project actions, and encourages grantees to share their results in our journal. UNEP-AEWA is an intergovernmental treaty to conserve 254 migratory waterbird species and their habitats across Africa, Europe, the Middle East, Central Asia, Greenland and the Canadian Archipelago. It was developed under the framework of the Convention on Migratory Species (CMS), and is administered by the United Nations Environment Programme (UNEP). UNEP-AEWA link through to the studies on Conservation Evidence for each species they work on, from that species' webpage. They promote the use of Conservation Evidence among their signatories. The British Trust for Ornithology (BTO) is an independent charitable research institute combining professional and citizen science to monitor British wildlife, especially birds. Their long-term monitoring data on the status of UK birds sets the standard worldwide for understanding the effects of environmental change on wildlife, and is used by both governments and NGOs. BTO links through to the studies on Conservation Evidence for each species they have data on, from that species' webpage. The NBN Atlas is a free online tool bringing together multiple sources of information about UK species and habitats. It aims to facilitate learning about and understanding the UK’s wildlife. 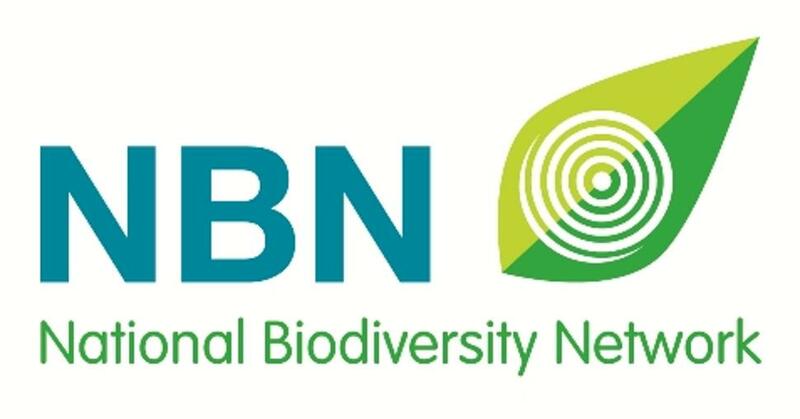 The NBN Atlas links through to the studies on Conservation Evidence for each species they collect data on, from that species' webpage. The Cool Farm Alliance aims to help millions of growers globally to make more informed on-farm decisions that reduce their environmental impact. Their Cool Farm Tool helps to calculate the impacts of farm level decsions on greenhouse gas emissions, water use, and biodiversity. The scoring for the biodiversity component of their Cool Farm Tool is based on the Farmland Synopsis by Conservation Evidence. The New Zealand Sustainability Dashboard aims to significantly enhance sustainability assessment and reporting in NZ's agricultural sector. A six year research programme involving ten organisation, they are developing a New Zealand specific version of the Cool Farm Tool. As for the Cool Farm Tool, the scoring for the farmland biodiversity assessment tool will be based on the Conservation Evidence Farmland Synopsis. The Vincent Wildlife Trust has been at the forefront of wildlife conservation for over 40 years. Their work is focused on British and Irish mammals and currently centres on the bats and members of the weasel family (the mustelids). Their specific niche is an organisation that undertakes surveys to identify the current status of mammal species of concern, carries out pioneering conservation-led research, publishes the details of this work and offers expert advice to others through practical demonstration. Their innovative research has helped provide solutions to conservation issues locally and internationally. The Vincent Wildlife Trust check the evidence on www.conservationevidence.com when planning their projects, and test some of their innovative conservation interventions and publish the results. They will also be asking third parties to whom they provide advice to do the same. Conservation Evidence hosted the VWT's annual general meeting in 2017 and provided staff and volunteers with training in evidence use and study design. Froglife is a UK wildlife charity committed to the conservation of amphibians and reptiles – frogs, toads, newts, snakes and lizards – and saving the habitats they depend on. They strive to make practical differences with their education and conservation teams working on-the-ground to engage people and to restore and create vital amphibian and reptile habitats. They are encouraging as many people as possible, from all walks of life, to get involved in wildlife conservation. Froglife check the evidence on www.conservationevidence.com when planning their projects, and are aiming to test some of their creative conservation interventions and publish the results. They will also be asking third parties to whom they provide advice to do the same. Conservation Evidence has been providing staff and volunteers with training in evidence use and study design. People’s Trust for Endangered Species has been improving the outlook of endangered species in Britain and throughout the world for over 40 years. They invest in research and test the best ways to protect endangered species in their natural habitats. Then they put what works into action, creating vibrant wildlife havens. They fund work on UK mammals, species worldwide and internship projects. People's Trust for Endangered Species check the evidence on www.conservationevidence.com when planning their projects. They will also be asking applicants to their grants program to describe the relevant evidence on www.conservationevidence.com in their grant applications to assess how evidence-based the applicant's approach is, and will encourage applicants to test the effectiveness of conservation interventions and publish the results. Oryx-The International Journal of Conservation is a quarterly peer-reviewed journal of biodiversity conservation, conservation policy and sustainable use, and the interaction of these subjects with social, economic and political issues. The journal has a particular interest in material that has the potential to improve conservation management and practice, supports the publishing and communication aspirations of conservation researchers and practitioners worldwide and helps build capacity for conservation. Oryx asks authors publishing papers testing conservation interventions to check and discuss the existing literature collated by Conservation Evidence in their paper. This will put each study in the wider, unbiased context of work that has been done before, and may encourage conservationists to review the evidence before taking action. The Whitley Fund for Nature (WFN) is a UK registered charity offering Whitley Awards and ongoing support to outstanding nature conservationists around the developing world. They work to find and fund the most effective grassroots conservation leaders in developing countries; to support the scale-up of projects with a track record of success, founded on scientific evidence and community involvement; to fund practical work that will have a long-lasting impact on the ground; to provide a platform for winners to boost their national and international profile; and to work with winners to improve awareness of the serious problems facing biodiversity worldwide and address them through effective and inspiring solutions. The Whitley Fund for Nature asks applicants to provide evidence of the success of the proposed approach in applications, asking applicants to use the Conservation Evidence website. Established since 1998, Bernwood provides a range of ecological services to both public and private sectors. They undertake work predominantly across the counties of Buckinghamshire, Oxfordshire, Berkshire, Bedfordshire, Hertfordshire and Greater London. They assist clients with planning, development and wildlife conservation, including protected species, Countryside Stewardship advice and habitat, historic parkland and woodland management plans. Bernwood Ecology checks Conservation Evidnce when giving advice to clients, and has published papers testing interventions in the Conservation Evidence journal. They aim to add more papers.